Your smile is one of the first things people notice about you, and it can make a big difference in how you feel about yourself, too. At All Family Dental, we want to help you feel confident in your smile and make every first impression a great one. New patients welcome, lunch time appointments available. All the tools to make your visit as relaxing and enjoyable as possible. We offer easy, flexible, interest - free payment plans for all of our dental services. A Clean and Safe Practice. We go above and beyond the American Dental Association (ADA) and OSHA recommended standards for cleanliness and safety. Why All Family Dental is the Choice for you! At All Family Dental we are committed to your dental needs by providing exceptional, personalized dental care in a comfortable, friendly atmosphere. We provide a wide range of dental services from routine teeth cleanings and preventive care to dental implants, Invisalign, and cosmetic procedures. Dr. Kyle Ronquist, Dr. Lauren Gerdin, and the entire team, pride ourselves in being your dental office of choice. 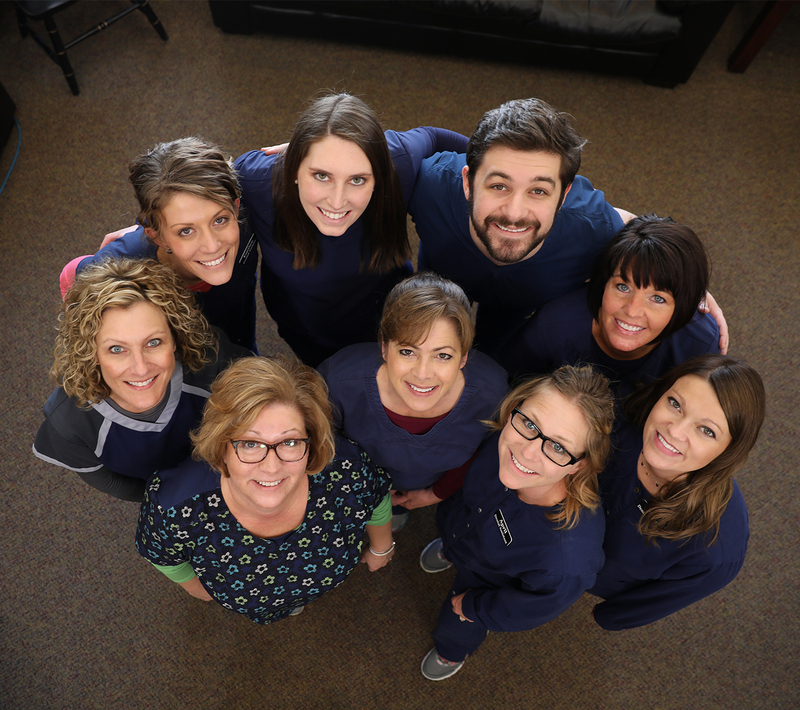 As skilled dental professionals with a personal commitment to our community, our team works hard to ensure that every patient receives the best dental care possible. We share smiles and we milestones with those that we serve. We are here to listen, care and learn about what’s most important to you. At All Family Dental, we strive for excellence when it comes to the dental care and hospitality you receive. All Family Dental offers general dentistry services including regular checkups, exams, and cleanings. We recommend seeing you every six months to ensure that your teeth, gums, and mouth are healthy. Even if it’s been a while since you’ve seen a dentist, we’re here to help you get back on track to having a healthy smile. Dr Lauren and Emily were great. My husband has a hard time getting numb, but it wasn’t a problem for Dr Lauren. He said it was the best dental experience he has ever had. Which is saying a lot for him! Highly recommend! Have grown up with this Dentist and continue to come back even though I live in Minnesota now. The staff is amazing and do a great job! I would strongly recommend All Family Dental! Everyone was so nice to us, it made it very easy for me. Thanks.